I was anxious about Gina Haspel's confirmation hearing. Here is a woman who has spent her life purposefully in the shadows, brought before a committee whose members bask in the spotlight. Here is a career intelligence officer, a keeper of secrets, an agent of dissimulation whose professional future depends, at least in part, on her ability to speak directly and persuasively in a public forum. And close to the entirety of her life remains classified, making her job all the more difficult. But my fears were misplaced. Haspel played a tough hand extremely well. The headline will be her promise that the CIA won't restart enhanced interrogation during her tenure. But her best moments occurred during questioning. She exposed Dianne Feinstein in a misstatement, defended her integrity against Martin Heinrich's virtue signaling, left Jack Reed speechless, and described the perfidy of Khalid Sheikh Mohamed and Abd al-Rahim al-Nashiri. KSM was the architect of the 9/11 attack and the murderer of Daniel Pearl, and al-Nashiri was behind the bombing of the U.S.S. Cole, in case you've forgotten. Many have. Indeed, Haspel noted that the debate surrounding rendition, detention, and enhanced interrogation, and society's condemnation of these policies, took place after the sense of constant threat Americans felt in 2001 and 2002 dissipated. It is one thing to pronounce judgment on Haspel and her agency after the laws have been changed and practices investigated. It is another to imagine how one would have acted in her shoes, working to prevent another mass casualty attack in a confusing, turbulent, and dangerous moment. Ask Nancy Pelosi. She was one of the first Americans outside the Agency to learn of the enhanced interrogation program. Did she resign in protest? Leak to the media? Loudly condemn the practice upon learning of it? She did none of these things. According to the New York Times, interrogations began in March 2002. Pelosi was one of four members of Congress briefed on the procedures that September. The congressmen, reported the Washington Post, were "given a virtual tour of the CIA's overseas detention sites and harsh techniques interrogators had devised to try to make their prisoners talk," including waterboarding. No one raised objections. "Instead," the Post continues, "at least two lawmakers in the room asked the CIA to push harder, two U.S. officials said." The next year, when she was read into the program, Democrat Jane Harman wrote a letter protesting interrogations. No such correspondence came from Pelosi. In fact, Pelosi knew about enhanced interrogation before Gina Haspel did. At her confirmation hearing, Haspel told Susan Collins that she did not learn of the program "until about a year into its existence." That was months after Congress had been informed. 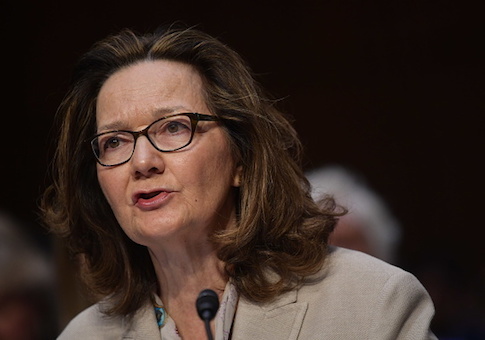 "I was told that interrogation experts had designed the program, that the highest legal authority in the United States had approved it, and that the president of the United States had approved it as well as trusted leadership at the Central Intelligence Agency," Haspel said. Haspel was an employee of the president of the United States. But Nancy Pelosi was in a position to make moral judgments. She had no obligation or responsibility to George W. Bush. She could have raised a ruckus if she wanted to—it's not like she was worried she might ruin her friendship with the president. So why should Gina Haspel—a long-time, highly capable, well regarded civil servant who would be the first female director of central intelligence and enjoys the support of both Republican and Democratic national security officials—pay for her involvement in a program to which Nancy Pelosi voiced no objection until it became politically convenient? I can't think of a reason. And I doubt Democrats can think of a reason, either. As Tom Cotton pointed out, if they really held to the standard that no one who had knowledge of interrogations should hold high office, why did Democrats vote to confirm John Brennan as CIA director? Why, for that matter, did Democrats elevate Pelosi to speaker after the 2006 election and again after 2008? Shouldn't her silence have been deafening—and disqualifying? The Democratic position is all the more absurd because there really isn't a policy dispute here. Haspel made clear that the law's the law. She's not going to waterboard. Democrats were quite open that they voted against Mike Pompeo for secretary of state simply because they disagree with his social conservatism. Pompeo's views are well known. Haspel's are not. And to the extent that we do know her foreign policy views, they fall squarely into the bipartisan consensus. Haspel fought Russians in the Cold War. Do Democrats truly believe she'd be weak on them now? Who knows what they believe. Because this is not really about Gina Haspel, or interrogations, or Russia. It is about Donald Trump. It is about the reflexive Democratic strategy of opposing and delaying his nominees. There have been more cloture votes during the Trump administration than during the previous four administration's combined. More than 150 nominations are pending in committee, and 98 are pending on the Senate calendar. The Democrats aren't serious about diligence. What they want is to cater to the prejudices of their base. Gina Haspel is representative of these highly qualified men and women. She doesn't belong on the sidelines. Where Gina Haspel belongs is the front lines. This entry was posted in Columns and tagged CIA, Gina Haspel, Nancy Pelosi. Bookmark the permalink.